Good. The New York Times bestseller: the Nobel Prize-winning economist shows how today's crisis parallels the Great Depression-and explains how to avoid catastrophe. With a new foreword for this paperback edition. Trade paperback (US). Glued binding. 207 p. Contains: Illustrations, black & white, Figures. Very good. Minor shelf wear. Text is clean and unmarked. Trade paperback (US). Glued binding. 207 p. Contains: Illustrations, black & white, Figures. Audience: General/trade. 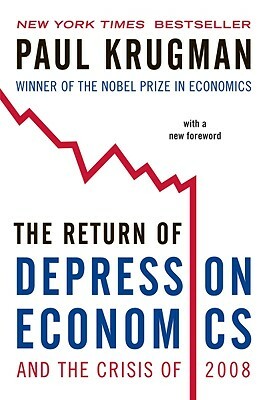 Very accessible explanation of last several years of world economy, what has happened to other countries when they have experienced severe recessions and how they have recovered (or not), what is happening now and some suggestions for American future. He refrains from jargon and even uses levity to help your understanding.